My name is James Strider and since meeting Master Chen in Holland way back in 2006 I have been pretty much obsessed with the Practical Method. 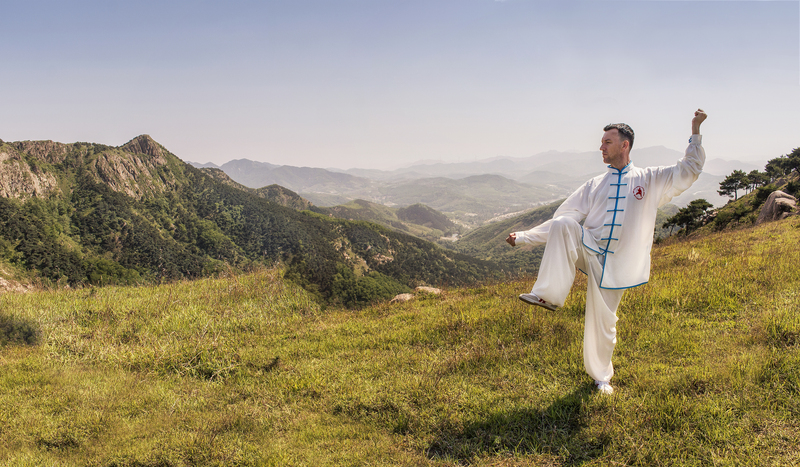 Having started my journey with Chinese Martial Arts, in this case classical WuShu, in 1987 at the age of 14, I was envious of the few students who could go with our Sifu back then to China for up to 3 months at a time to study. They would return with colourful stories (mostly about the lack of toilet paper and milk!) and I would see their skills increase significantly each time. It was then that I promised myself that I would one day make it to China and stay for at least 3 months. Well, it’s taken me 31 years to finally make it here, but at least I’m staying for 1yr! None of this would have been possible without the encouragement and support of Master Chen, for whom I am eternally indebted to as both my Sifu and friend, as well as my incredible partner Colleen who has my back at all times and encourages me every day to be the best version of myself possible. This blog will follow my physical, mental and (hopefully!) spiritual journey as I jump in the deep end and embrace all things Practical Method and experience Chinese culture in general, be it through a slightly rose tinted “Western” lens of course. I have never done something like this before, and hope that through sharing my life in China that coming here will seem less daunting for those of you considering the same path. I hope you will enjoy it and all feedback is welcome! James, I am so glad to see you finally realising your dream and so glad that I can be a part of it. You are an incredibly positive person and I look forward to reading your blog and watching you grow. I know you will give Master Chen your best effort and hope that you can inspire others as you inspire me. James, it was great meeting and training with you this competition 2018. I look forward to more good conversations and training with you in the future. Have fun out there, and I will be a follower of your blog. Cheers friend.